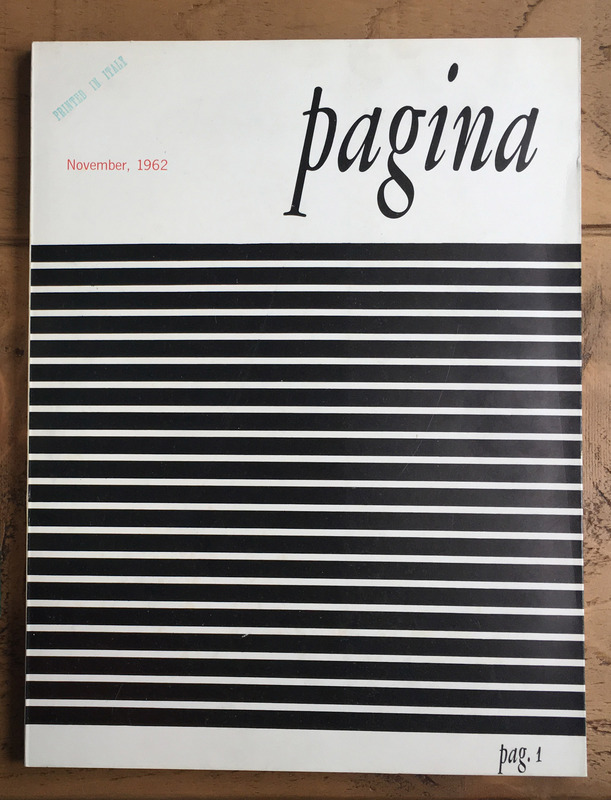 After graduating from the MA in Typeface Design at the University of Reading, I decided to buy myself a present: all the seven issues of Pagina. Pagina is an international graphic design magazine, published from 1962 until 1966 in Milan by Editoriale Metro S.p.A, with quarterly (but very irregular) releases. 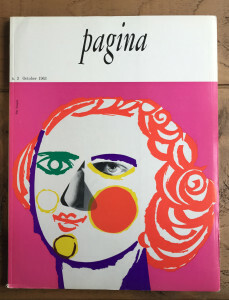 Each of the seven issues was published in Italian, French and English, the layout was designed by Heinz Will while the covers were handled by different designers. The articles inside the magazine included authors such as Leo Lionni, Armando Testa, Bruno Munari, Saul Bass and Albe Steiner (just to mention a few). 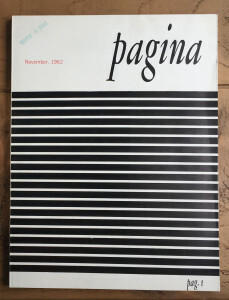 The first three issues of Pagina (November 1962, June 1963, October 1963). 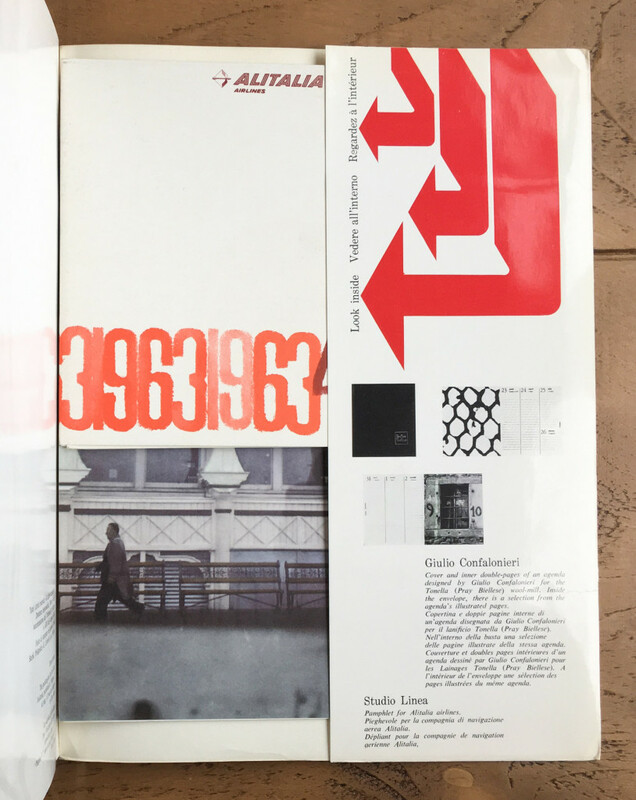 The cover for the second issue was designed by Bob Noorda and for the third issue by Pino Tovaglia. 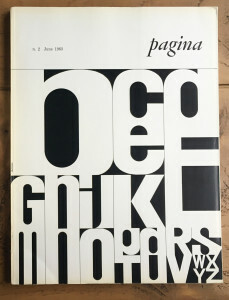 Pagina 4, 6 and 7 (January 1964, January 1965, April 1966). 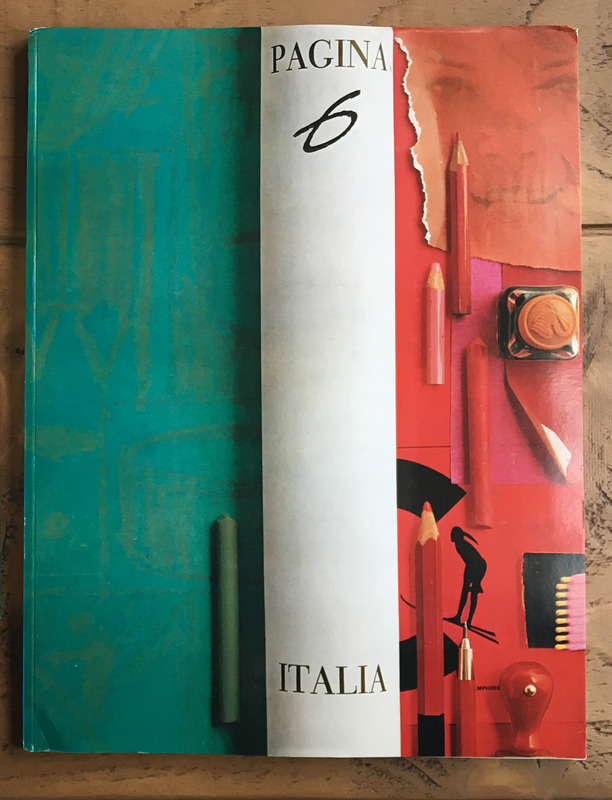 Pagina 6 is a special issue entirely dedicated to Italy. and Pagina 7 is dedicated to Giambattista Bodoni. 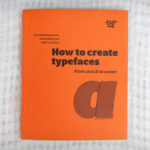 The covers are respectively by Max Bill, who also designed the typeface on the cover, Giancarlo Iliprandi, and Franco Maria Ricci. 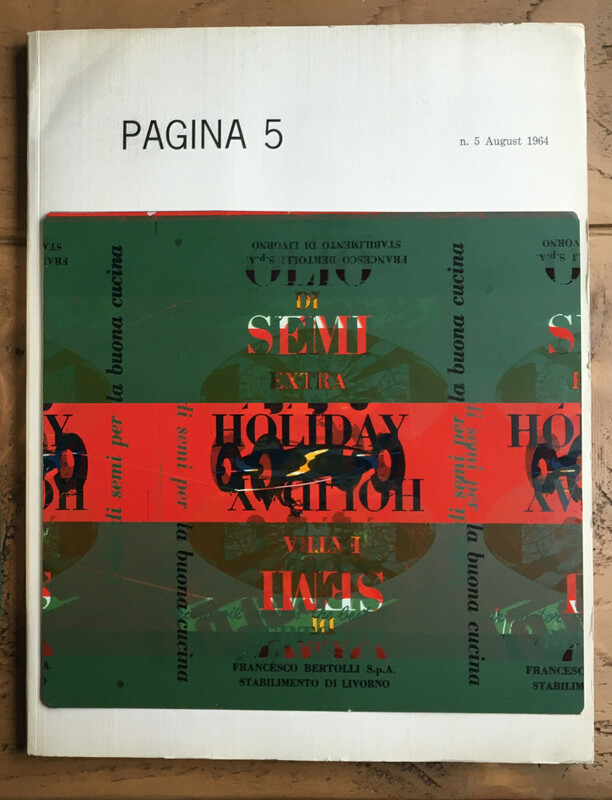 The most interesting cover, for me, is the one for Pagina 5, designed by Eugenio Carmi. 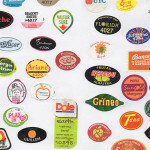 It features a concept of using scraps and leftover printed matter from daily life that are reassembled and take a new meaning — removing an object from its usual context and inserting it in a new one with a different purpose. 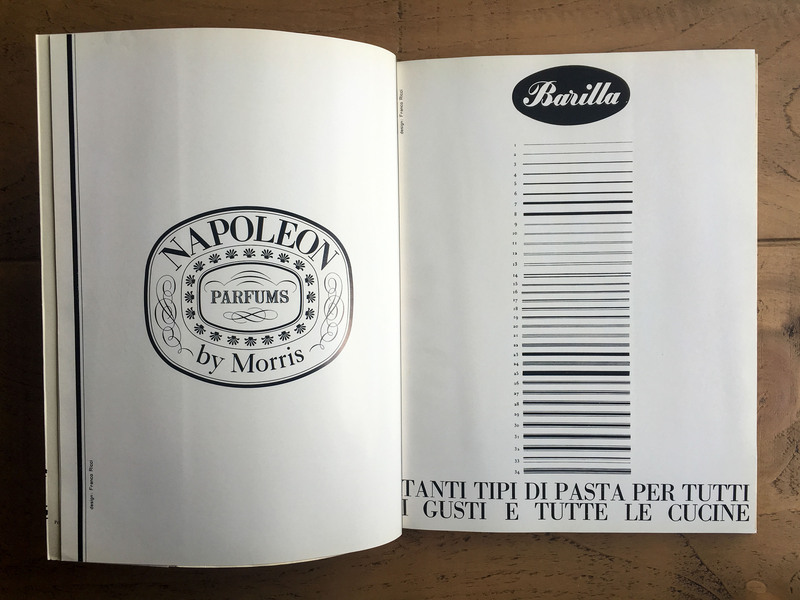 In this case Carmi uses lithographed tin sheets, originally used industrially to test printing machines before the actual label production begins. 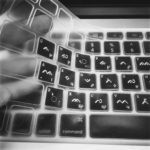 During these tests, the available surface needs to be used efficiently and economically to avoid wastage, resulting in interesting superimposed layouts with graphical elements. 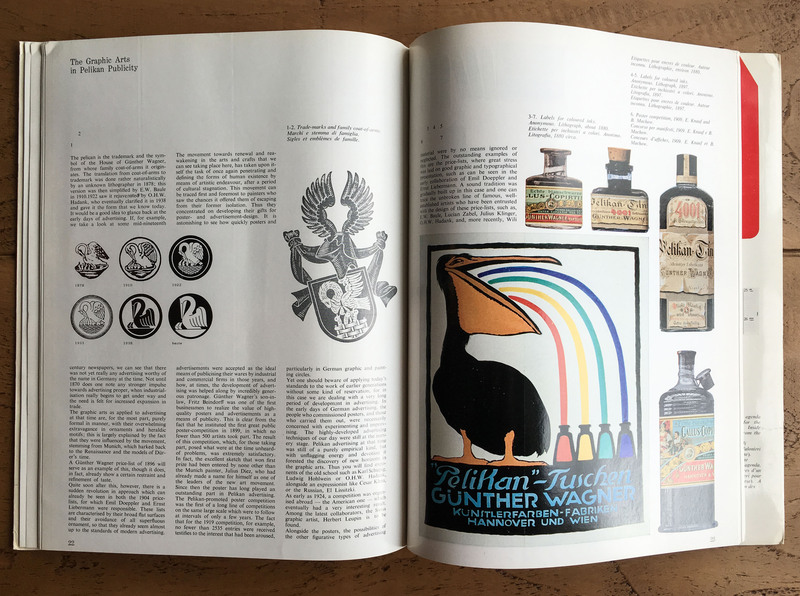 Not to mention that every cover for this issue of Pagina is unique: mine shows graphics for the tins of Bertolli vegetable oil, alongside other superimpositions. 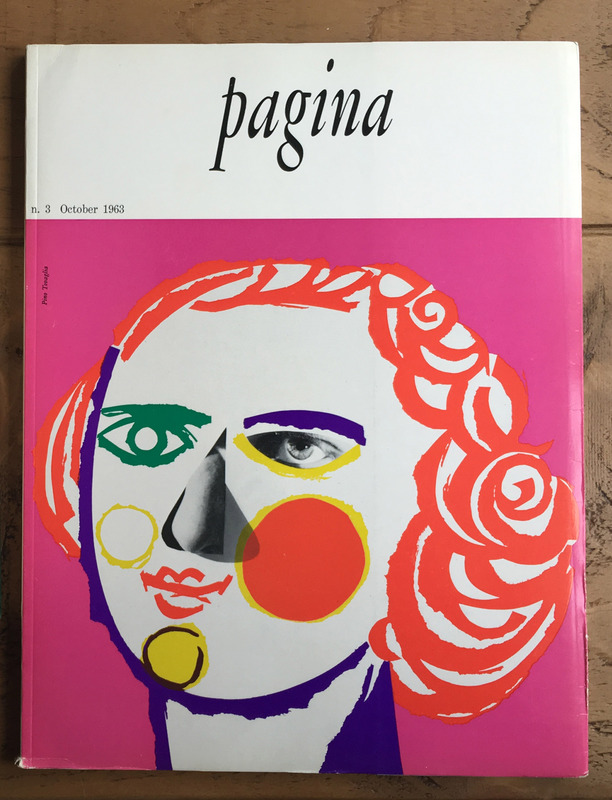 Pagina 5, August 1964. Cover by Eugenio Carmi. Pagina 6. Spreads showing ads designed by Franco Grignani, Studio CBC, Studio CNPT, Ennio Lucini, Walter Ballmer, Hazy Osterwalder, Giovanni Pintori, Giulio Confalonieri, Franco Bassi, Giovanni Brunazzi, Remo Muratori. 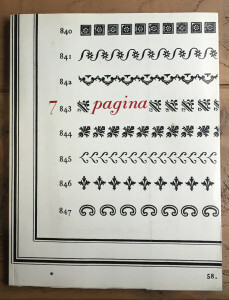 Pagina 7, the Bodoni issue. Both pages designed by Franco Maria Ricci. The right one translates into: many types of pasta for every taste and every kitchen. 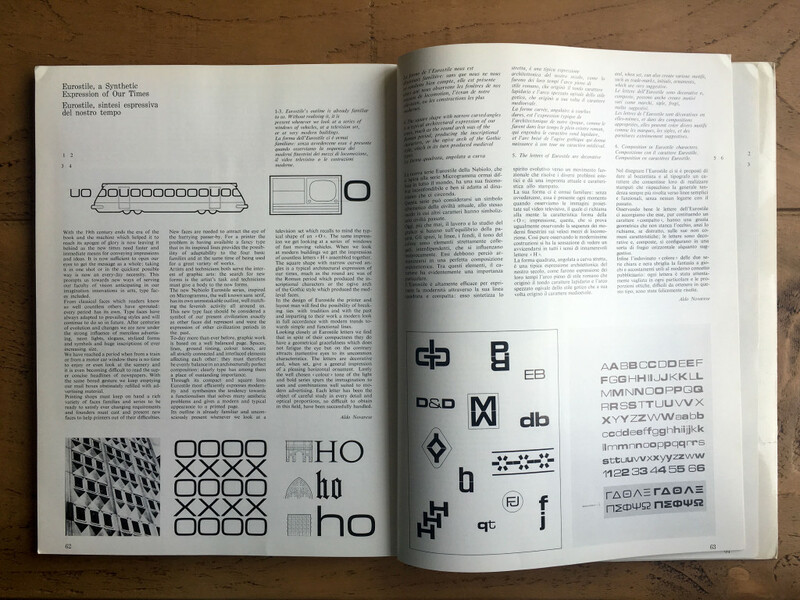 In some issues there is a Technical Section featuring printing machines and typefaces releases. 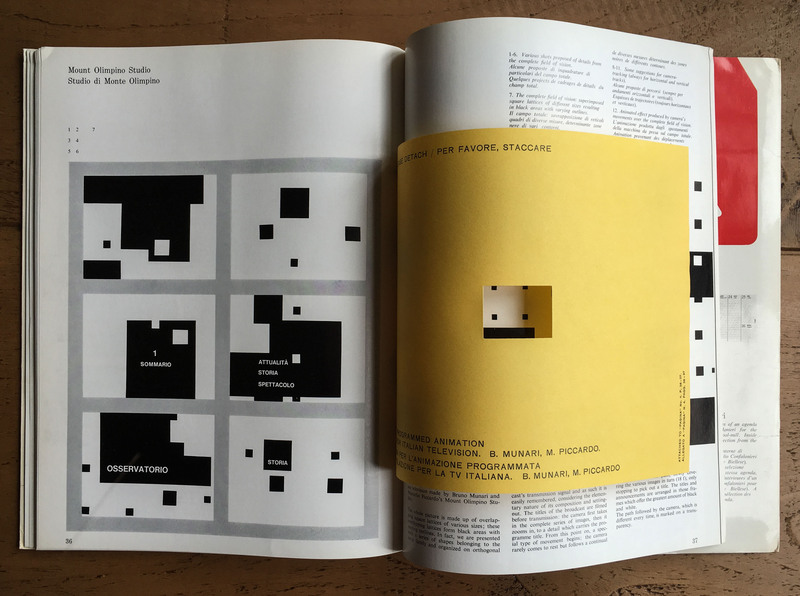 Pagina 4, ‘Technical Section’, showcasing Eurostile by Aldo Novarese. 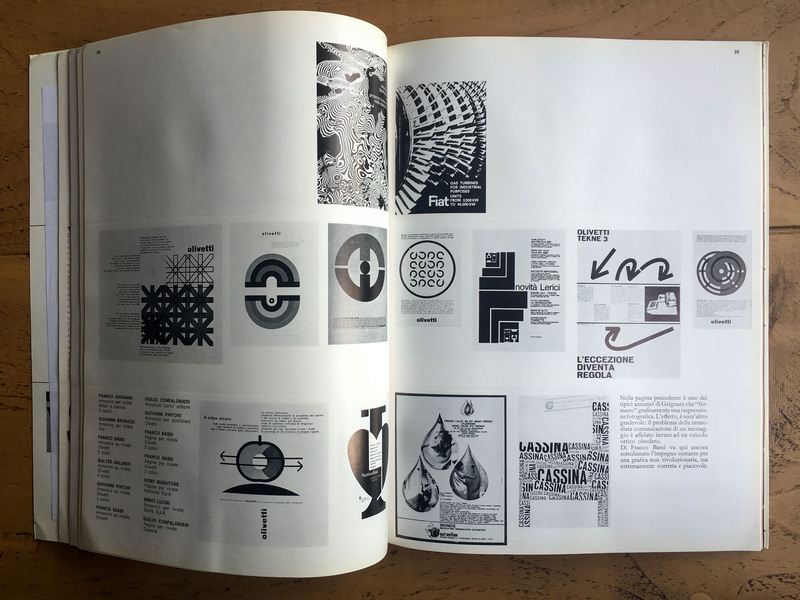 Some of the most interesting elements of the magazine are the ‘experimental’ spreads, featuring different printing techniques, fold-out pages etc, but the most fascinating part of the issues is the inclusion of original brochures and back folders containing various ephemera and design objects like a poster and a brochure in issue 4 and a vinyl disk in issue 5. Pagina 4. Back folder with a pamphlet designed by Studio Linea for Alitalia airlines and cover and a spread for a diary designed by Giulio Confalonieri. Pagina 5. 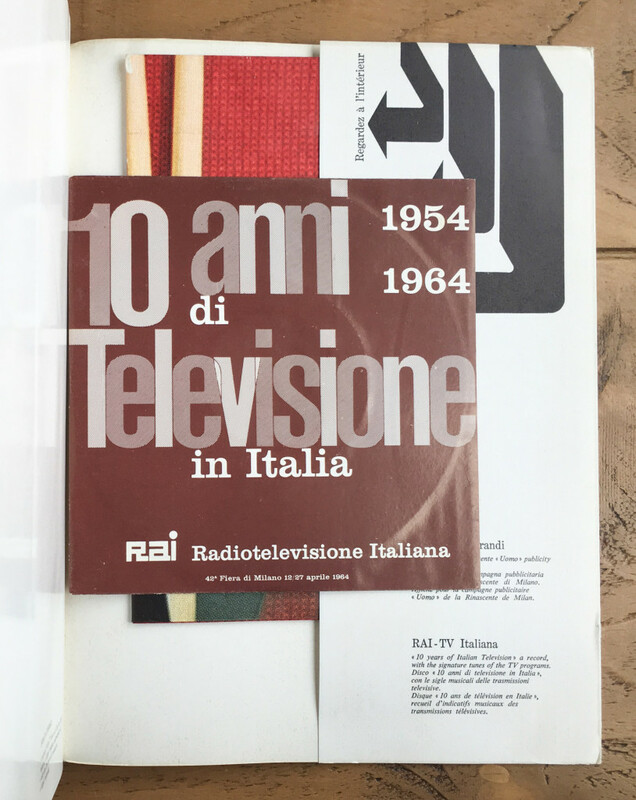 Back folder with a 45 rpm record commemorating the tenth anniversary of television in Italy with themes from RAI programs and a color poster by Giancarlo Iliprandi. 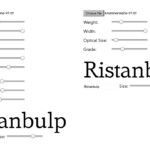 Experimental pages. 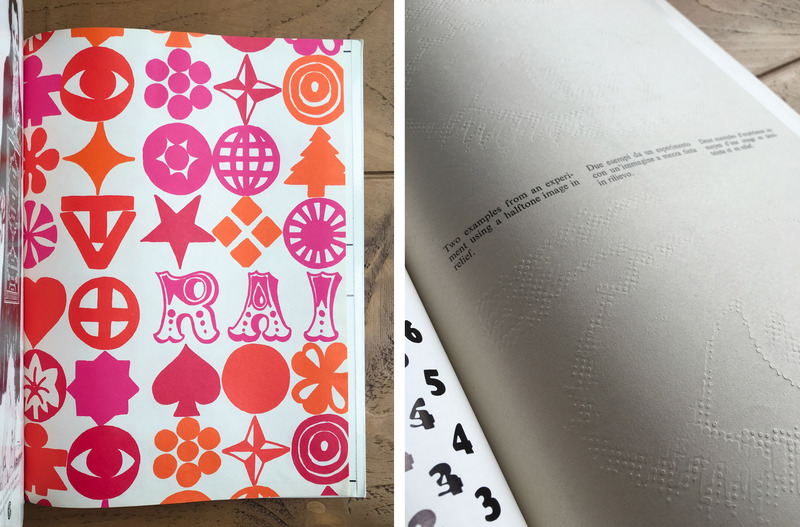 Left, Pagina 6, right Pagina 5. 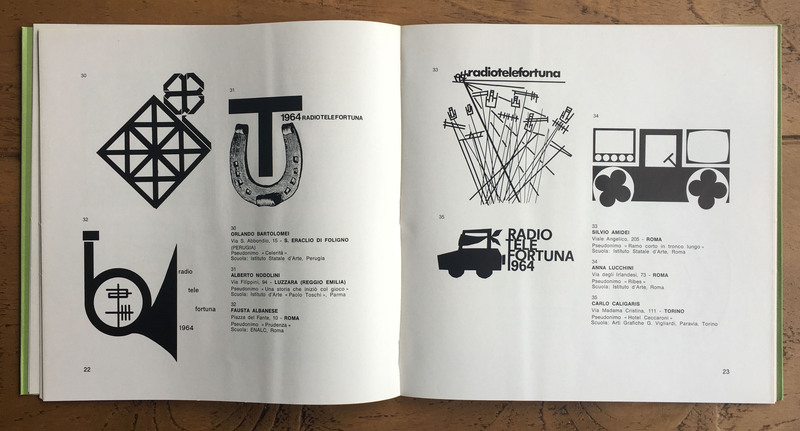 Radiotelefortuna. 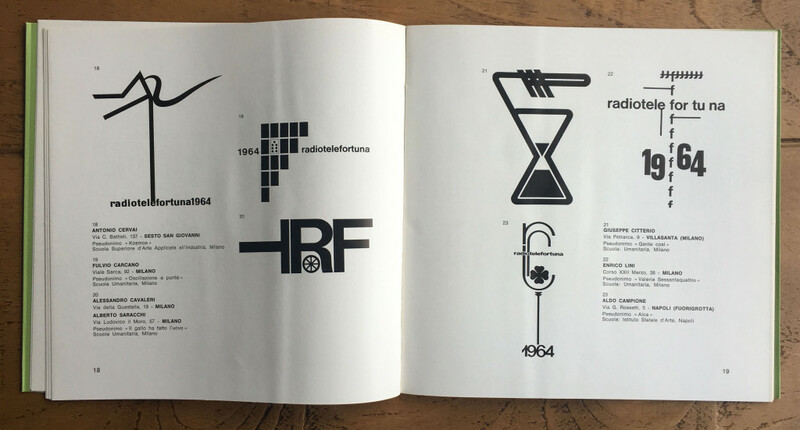 Forty-six page booklet on the 1964 trademark design competition for RAI Radiotelevisione Italiana. Pagina 4, tipped in first issue of Pacco, international magazine of packaging. We take pleasure in presenting the first number of «Pacco», the international packaging review, to the readers of «Pagina». 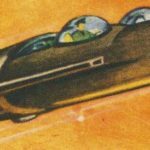 In fact, however, it is hardly accurate to speak of this as the first number it is a rather «zero» number, which sets out to give future readers and subscribers an accurate and precise idea of what our new publication’s aims and intentions are. 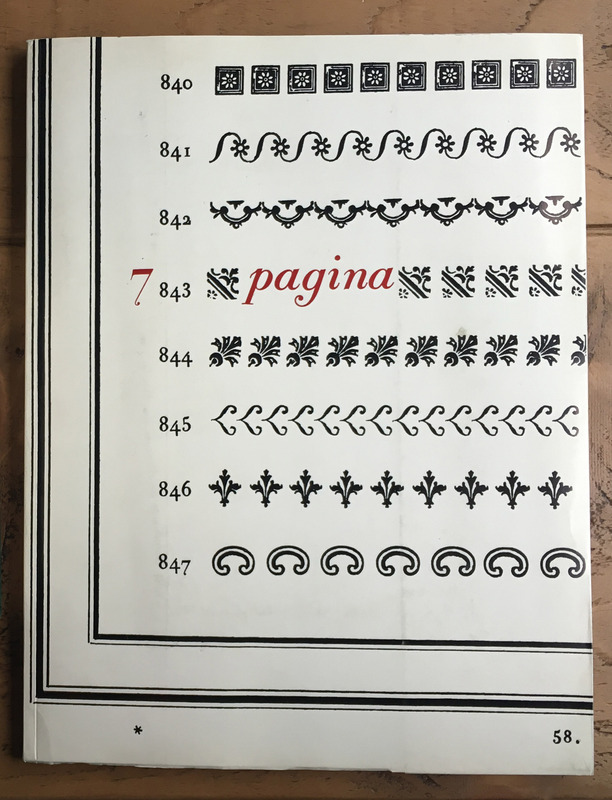 The normal number of «Pacco» will, instead, consist of 60 pages; it will be printed on top-quality paper and contain a wealth of illustrations. 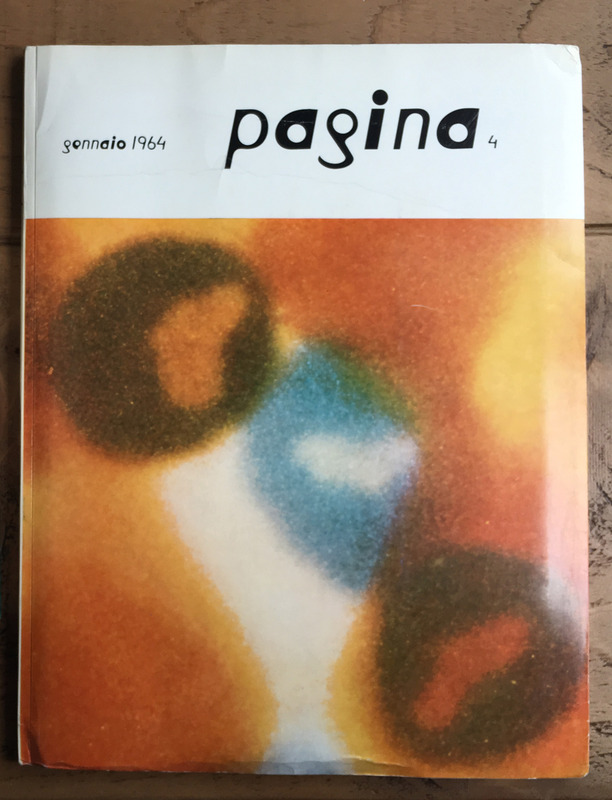 We hope that «Pacco» will prove to be of great service to our readers in their work. 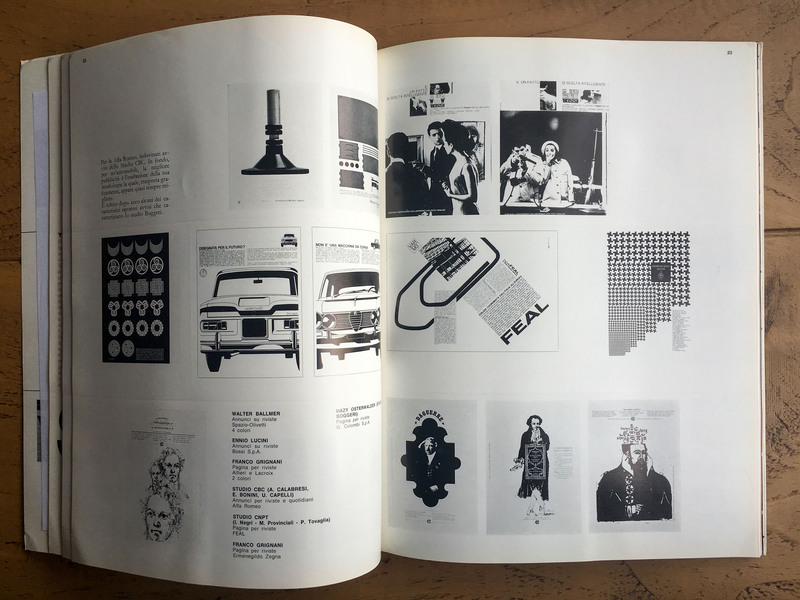 What I really like about Pagina is that it doesn’t rely exclusively on articles and pictures of things to engage with graphic work but tries as much as possible to provide the readers with tangible samples from the graphic design world.